The right solution for every customer. For the baking industry we have the right knives to meet the most varied industrial cutting requirements. Our patented special tooth designs provide a solution for any cutting problem. High quality alloys ensure extremely high endurance. 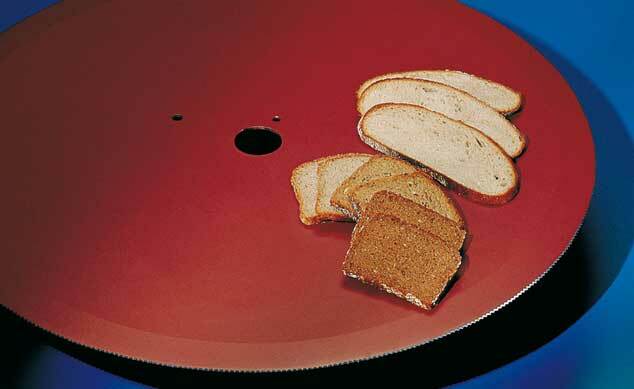 A non-stick coated blade can even increase its cutting efficiency. The fluoropolymer coating ensures a precise and non-sticking cut. Depending on the type of knife, it has been shown that more than 150 operating hours are possible. Our range includes standard circular knives, circular Turbo-knives, fly cutters, reciprocating knives and spiral knives – whether with or without a non-stick coated surface. Technical solutions for today and tomorrow –precision in metal.